Toothache can be very strong. Until you go to a doctor’s appointment, if it is necessary, try the best natural remedy against toothache, which is often used in India – a spice called “clove”. The clove oil toothache remedy is one of the most famous toothache remedies around. Clove oil was used by dentists before anesthetics were available. Clove oil contains eugenol, which has antibacterial and analgesic properties. This is the perfect solution for a toothache that is caused by bacteria. Follow the directions below and see if this toothache remedy can help you. This remedy is very easy to make. 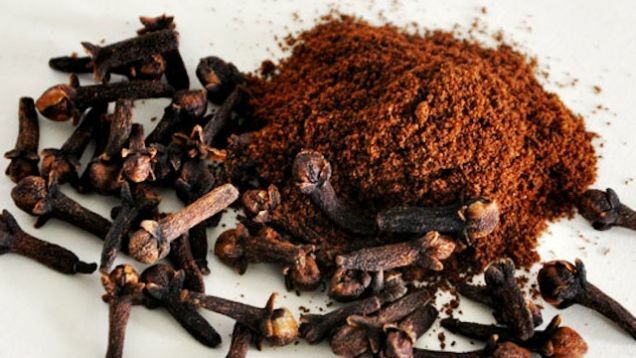 Clove essential oil (or ground or powdered,whole cloves. A clove oil compress seems to work the best, especially if you’re too sore to put whole ones in your mouth.). Rinse your mouth with warm salt water to get it nicely flushed out. By doing this beforehand, you’re allowing the oil to do its job the very best it can since there’s nothing to block it or make it hard to sink down into the sore spot. Mix a few drops of clove essential oil with ½ teaspoon of olive oil.